My little girl loves to dance, anytime a beat is playing she’ll stop what she’s doing and sway and bob up and down she even will bob up and down when she’s really happy, I think she hears her own little tune in her head, lol! Maybe I have a future musician on my hands? Since she loves music so much I’m always on the lookout for great music for toddlers and Slugs & Bugs is just that! 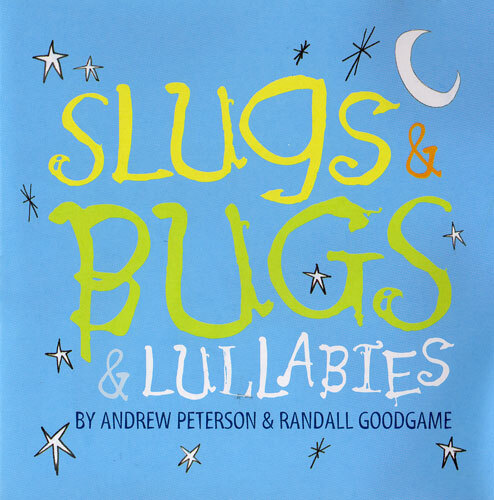 If your a reader of mine you know how much I like the Veggie Tales series so it’s no surprise that I like Slugs & Bugs because it is written by Randall Goodgame and Andrew Peterson who have also written songs for Veggie Tales. Each of the songs on the Slugs and Bugs CD are full of fun and lively lyrics that are sure to make your little one ditty bop around or slow it down with a soothing lullaby. Another one of my favorite songs on the whole CD is a lullaby and always brings a tear to my eye entitled “You Can Always Come Home To Me”, lyrics include love you today and I love you tomorrow I love you as deep as the sea, I love you in joy and I love you in sorrow, you can always come home to me… It gets me every time! Slugs & Bugs & Lullabies is filled with wonderful songs with a Christian influence, my daughter and I have a blast dancing to the all the fun songs and I especially love singing “Who’s Got The Ball” to her. Slugs & Bugs is coming out out with their newest release entitled Slugs & Bugs Under Where? coming to Family Christian Bookstores near you on October 25th or pre-order your copy today! Slugs & Bugs is giving one of my lucky readers a copy of the Slugs & Bugs & Lullabies CD! Ends 11/14 at 11:59pm EST. Enter using the Rafflecopter form below. I received a copy of Slugs & Bugs & Lullabies for the purpose of this honest review. All thoughts and opinions are my own. This post was written by me and not edited by anyone. Darling music. I would love to share these cool songs with my grandkids and kindergarten music class. Thanks for hosting the giveaway. I love that their music promotes the hope that kids will one day grow up and find it natural to remember Jesus in their homework, in their work, in their friendships and even in parenting. I like that it’s so natural and relaxing to listen to and also that my children love the sound! I love that the actual tunes are not irritating, as some childrens music can be. I also love that these are fun Christian songs for my little ones to learn and sing along with. Cute music and I love that it reminds us what’s truly important in life. Thank you! I would love to win this for my kids! I love that it mentions Jesus! Thanks so much for the fantastic giveaway! Well, finally some music that hasn’t shunned God or Jesus! I ♥ it. what a lovely CD to own and share with my little G’kiddos! I like that it has a good beat and we could dance to it! I like that it’s for kids and adults too. I like how they use fun songs to help kids learn about Jesus. I have a hard time being silly- I love that it reminds parents to be silly for their children in a good kind of way. I learned that they aim to write great, fun songs that help parents to remember how to be kids. I love that the songs teach children a message in such a sweet and fun way. I love how calming the music is to both adults and children. I also like how fun it can be! Thank you so much!!! I can’t wait to share “You Can Always Come Home To Me,” and “Who’s Got The Ball” with my grandkids and kindergarteners.